While Wix website builder has been around since 2007 when it entered the market as a Flash-based platform, Webydo has just made its debut in 2013. On the surface it may appear that both platforms are very similar: they support front-end editing, offer included hosting, ready templates, easy-to-integrate widgets and so on. However, if to dig deeper, you will see that these website builders are pretty different, each offering a unique feature set and opportunities. Webydo is a hosted, code-free web design suite clearly aimed at professional designers and agencies. Wix is a drag-and-drop site builder catering to a beginner audience.That is it. But you should really read the long answer 😉 . Wix. Wix is very easy. Once you have finished the registration wizard, you’ll be redirected to the builder or Wix ADI interface. The builder supports drag-and-drop and inline editing: simply select a design element or widget in the toolbar, drag it to the page and let it go. Double-click the element for further editing. With Wix, there are no restrictions – you can position the elements wherever you want on the canvas. On one hand, that’s really generous. On the other hand, this approach can lead to many undesirable scenarios. First, because of the absence of the layout ‘boxes’, adding a new element, let’s say at the top of the page, can be a nightmare. You’ll have to move all existing elements down the page, one by one, to make space for your new object. Second, this approach makes it impossible to swap themes – you can modify your current design endlessly, but you can’t go back to the templates directory to change your theme. If there’s an urgent need to remodel your site using another Wix template – you can create your site again from the start and then transport your Premium account to this site. The customer is not always right. Many site builders apply certain structural limitations so that their users could avoid unnecessary frustration in the future. Some even don’t let users choose individual colors – color palettes only – in order to avoid mismatched color schemes and other design-related mishaps. Webydo. Similar to Wix, Webydo allows users to add page elements simply by dragging those to the canvas, as well as make changes in a user-friendly WYSIWYG editing environment. However, it’s far from being aimed at a beginner audience. The system has a steeper learning curve. It is designed in the tradition of Photoshop or InDesign, which means that it’s chock-full of professional, design-specific tools. This is actually the key difference. Webydo is primarily intended for professional designers who are already familiar with complex interfaces. Once you’re in the control panel, you can choose between the Design, Content, and Preview modes. The Design mode lets you build the design, while the Content mode is meant for content editing. That’s really handy. You can grant your clients content editing access without having to open the Design Management System. What’s more, you can make certain elements non-editable by CMS users simply by ticking the corresponding checkbox. This is impossible with Wix. Wix vs Webydo. Both website builders are excellent at what they do: Wix offers a super-easy interface for beginners, while Webydo provides a fully-loaded web design toolkit for those who know a thing or two about design. Webydo. Webydo’s set of features represents the needs of the target customer which is the desire to create sites in a code-free manner. Hence, the builder mainly operates as a web design studio for independent designers and entire agencies where creatives can draw beautiful websites and see them in action without having to outsource the coding part to coders. For the same reason they offer a range of unique management and branding solutions: Build Your Brand, Bill My Client, Multiple Contributors and more. Speaking about extensibility, Webydo can’t boast lots of apps and widgets (except of store applications). It’s more a static website builder: you draw a prototype and then export its code and pass it to developers if custom modifications have to be made. Blogging and eCommerce. The system offers its own eCommerce solution, where you can easily add as much products as you need. For adding news or any other repetitive posts to your website, they offer Blog mode. This feature lets you create a uniform template for all your future posts (so that your clients could add new entries on their own). See the full list of features in our in-depth Webydo review. Wix. Wix offers less design-related features, but more applications and widgets, such as online booking, live chat, calendar etc. These can be found in the Wix App Market. There are both free and premium solutions. 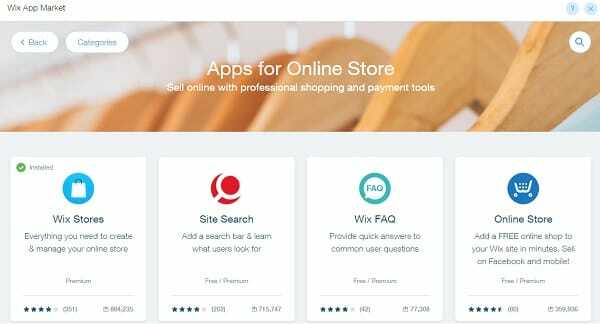 Because Wix is mainly targeting end users who are more often than not small business owners, their team is constantly working on producing ready ‘turnkey’ solutions for different industries. Thus, they’ve already released WixHotels&Restaurants. The good news is that Wix has its own eCommerce and Blogging engines. They are not really impressive, yet offer enough features to set up and maintain a good-looking webstore or a blog. You can see examples of blogs, portfolios and eCommerce projects on real Wix-based websites. Webydo vs Wix. Webydo focuses on delivering design-specific features, such as code-free parallax scrolling or smart style editor for example, while Wix constantly improves its arsenal of business widgets. Wix. 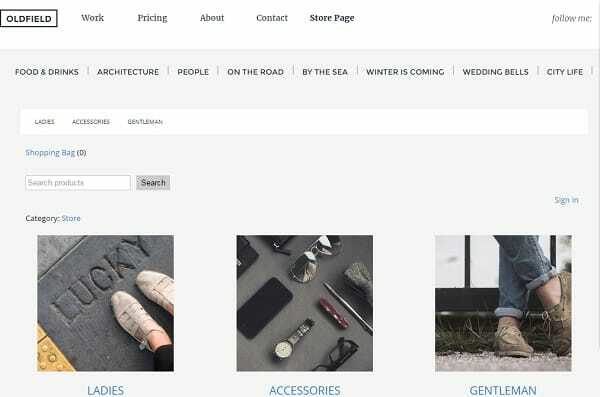 With Wix you can start building a website using a blank layout or one of their beautiful designs. Just pick one and make it yours. The choice is enormous. The only downside is that users can’t switch templates. All Wix-based websites are mobile-friendly from the start. If you don’t like the mobile version that Wix generates automatically for your site, you can modify it using the same drag-and-drop interface. Simply switch to Mobile editing and change the look (without affecting the normal view of your website). You can also add mobile-only features, such as Back to Top Button, Mobile Action Bar, among others. Webydo. With Webydo you have three options: a blank canvas, a layout, and a ready design (there are up to 30 themes). However, that shouldn’t be a problem, as every element of the design is 100% customizable. Futhermore, most designers already have their own vision of the site and tend to start with a blank layout. Designers can easily manage all versions of their site (mobile, tablet, and desktop) from one dashboard by creating breakpoints for different screen sizes and devices. Wix vs Webydo. Both website builders give full freedom of customization in terms of design and provide customers with professionally looking themes. But we should note that Webydo could be more convenient to professionals. Webydo. Webydo’s Support is available via Live Chat directly in your admin panel – we find that very convenient. And it really works! It took them less than one minute to answer our question (FYI: we were using a free version of Webydo). Besides chat, there’s a traditional email service and a knowledge base. You can also get in touch with their Team directly through reporting a bug or suggesting a feature. You may also vote for prioritizing features suggested by the fellow Webydo users. For US customers, including new, long-time, and potential users, Webydo provides phone support. Wix. Wix serves more than 75 million websites, so it’s no accident they have email support only. There’s also Wix Learning Center. Webydo vs Wix. Webydo wins here as it offers professional live assistance. However, given the ease of use of the Wix editor you’ll hardly ever need live support. Wix. Wix offers 5 packages + free plan. Their cost differs (annual/monthly billing). When considering upgrading your account, bear in mind that with their most basic Connect Domainpackage ($4.50/mo) you will still have to display Wix ads. Webydo. There’s a free version and three paid subscriptions. You can also start with a free 7-day trial which offers the fully-loaded experience. Pro, Team and Agency come with the Site Export feature – when you finish designing your site you can easily export your site’s HTML and CSS code and host your site elsewhere. Wix vs Webydo. If you decided to use Webydo, that means by default that you’re going to create dozens of websites, and for example, the ‘Pro’ plan will be separated between all those 10 websites you’ll build. So we think both website builders are reasonably priced. Both the Webydo and Wix teams are very passionate about what they do. One of the biggest differences between them is the target audience: Webydo promotes itself as a professional tool for web designers, while Wix is more likely to meet the needs of the end user.